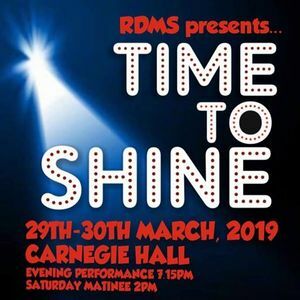 Rosyth and District Amateur Musical Society are proud to present a history of their musical performances and a sneak peek at the future of musical theatre in Fife. 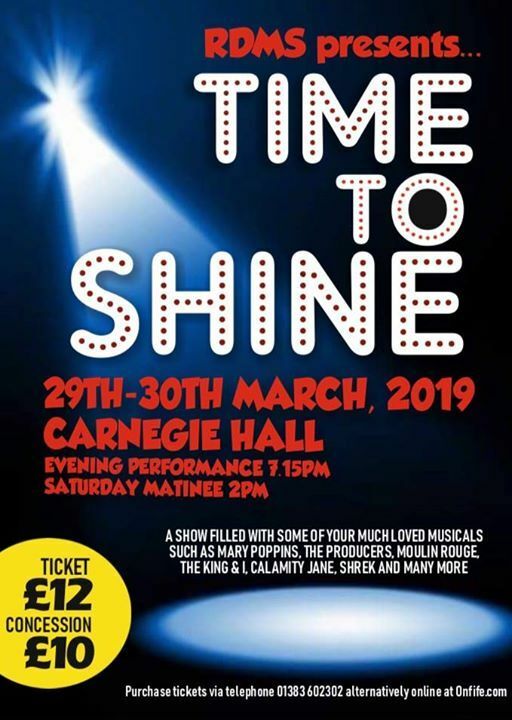 After nearly 70 years of performing within the community, its time to celebrate these years and everyone who has supported them with a showcase of all of our most loved musical theatre performances. There is guaranteed to be something for everyone! 19:00 evening & 14:00 matinee performance (On Saturday). Tickets are £10.00 per concession & £12.00 per adult. 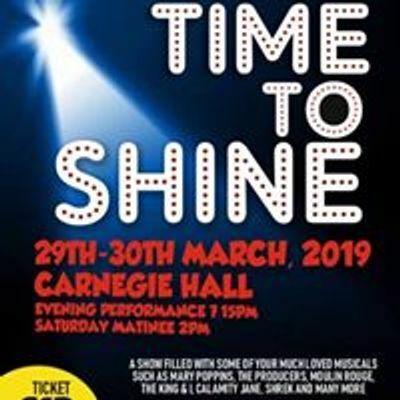 Tickets are now on sale and can be purchased from every cast member, via this page, online through onfife.com or via Carnegie Hall box office directly.